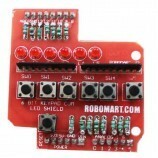 This Arduino Multi-Functionality Shield has a large range of features which makes it ideal for beginners who just want to experiment and learn, or just as a general purpose shield for more advanced uses. Besides the feature rich range of components fitted to the shield, there are also a range of expansion headers for convenient interfacing of external modules and components. 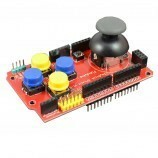 On-board 4 push button switch. 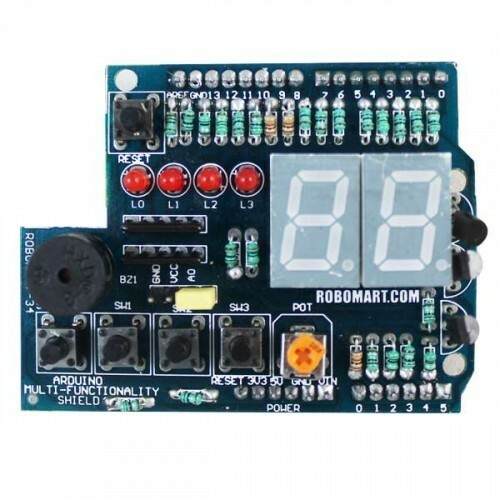 It is used in keypad & LCD interfacing projects. 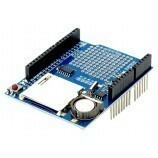 Also Searched as : Arduino multi functionality module.